We know – the holidays are still a few months away, but with September knocking on the door, we thought this would be a great time to take a look at some of the better offers that will help you better manage your spending during the busiest time of the year. Remember, though, offers change quickly so be sure to complete due diligence on those offers as well as the terms and conditions so that you are sure it’s the best choice for your financial needs. This is still the most popular Citi card. CitiBank developed this offer to be both streamlined and fee-friendly. No worries about late fees or penalty rates and there’s no annual fee either. Enjoy 0% intro APR for purchases and balance transfers for 21 months. The extended intro period makes this Citi offer ideal for paying down balances you’ve transferred from other credit cards – which can amount to impressive savings. Of course, it’s that absence of annual fees, late fees and others that keep it in the spotlight. If the Citi Simplicity is the most popular choice, then this card comes in a close second. The Citi Platinum Select also comes with $0 liability on unauthorized charges, no annual fees and no shortage of online services. Account management, easy loan payments and a host of other benefits accompany this offer. You’ll enjoy a 0% intro APR for 21 months on both purchases and balance transfers. Here’s the kicker with this offer, though (and it won’t be a problem if you’re vigilant in your financial efforts): The penalty APR can be as high as 29.99%, depending on your credit history. Late payment fees and returned checks will cost you up to $35. Check out the terms and conditions for more information on the applicable fees. This time last year, the Discover More card users were earning up to $300 cash back on purchases made in department stores, clothing stores and restaurants – all three of which we use during the holiday shopping season. While it’s not made an official statement yet, many insiders say the fourth quarter will include this successful addition again. If it does, you’ll enjoy a 6 month 0% APR intro rate that will apply to both balance transfers and purchases. There is also $100 cash back bonus, too. Want to save even more? Use your Discover More card to take advantage of 20% cash back bonuses online – as well as those additional perks just announced. You’ll also enjoy the Discover $0 fraud liability, around the clock access to customer service and no annual fee. It’s an all around great offer, though you’ll want to carefully review the terms and conditions to ensure it’s a good fit for your specific needs. Chase is another favorite among consumers and with reports in the news of its consistently improving customer service, it might be a great time to consider these offers. One of the most Chase products, this offer includes a $100 cash back bonus after you make $500 in purchases during your first three months. There’s also the rotating categories, which proved to be a winning formula for the credit card company, allows you to choose the top three that you’ll use most out of 15 categories. These are the categories that will provide an additional 5% cash back opportunities that rotate throughout the year. You’ll earn unlimited 1% cash back on all your other purchases. We like this credit card offer too because the cash back rewards never expire, there’s no annual fee and you can even maximize your savings with additional 10% cash back when you shop through the Chase website at merchants you already do business with – always a good thing during the holidays. Traveling this holiday season? Consider the Ink Bold. Enjoy 50,000 bonus points after your first $5,000 spent and an additional $625 that can be used on airfare when you book through the Ultimate Rewards site and use its booking tool. No points limitations, no expiration dates and 4X the points on every dollar spent on the first $50,000 each year. The $95 annual fee is waived your first year, too. This is a fine choice for those with good credit histories. Arguably one of Chase’s best offerings, this card offers Blueprint, which is ideal for those really wanting to keep a close eye on their spending. A $75 statement credit after you hit $300 in your first three months sweetens the deal and the 15 month 0% APR intro tops that deal off. There’s also no annual fee, either – and this isn’t a promo – it’s part of the credit card’s design. This credit card remains one of the Chase products that consistently ranks high in customer satisfaction. Finally, business owners often begin considering what the new year holds and that means they also delve into what their current credit card companies offer them and then compare them to the newer offers on the market. If that’s you, here’s a popular choice you might want to consider. 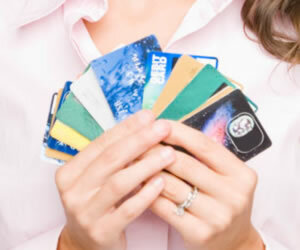 This low interest credit card offer for small and mid size businesses offers a bonus cash back promo. You can also earn up to 35,000 bonus points during the first year. Since many business owners initially apply for a business card during their company’s infancy, this can mean big savings during that first year of your business opening and it’s likely a choice you’ll keep for many years due to the Chase commitment of taking care of small business owners. If you travel for business, you’ll also have access to premium travel benefits, including complimentary access to airport lounges. Your rewards points never expire and there are no limitations on how many you can earn.